Master, University of New England (UNE) Australia, 1991. Ph.D, University of Newcastle Australia, 1996. Ganesa Cendekia Widya Adiutama, ITB, 2014. Satyalancana Karya Satya (20 tahun pengabdian), Presiden RI, 2013. Habibie Award untuk penelitian ilmu dasar, 2009. Australian Alumni Award, kategori: Excellence in Education, 2009. Satyalancana Karya Satya (10 tahun pengabdian), Presiden RI, 2006. Ganesa Wira Adiutama, ITB, 29 Mei 2001. Teori Graf dan Kombinatorik: Konstruksi Graf dan Digraf, Problem Derajat/Diameter, Teori Ramsey, Pelabelan Graf, Pewarnaan Graf, Dimensi Metrik, Dimensi Partisi dan Bilangan Kromatik-Lokasi Graf, Teori Koding, dan Kriptografi. Ketua, Badan Standar Nasional Pendidikan, Indonesia, 2013-2014. Anggota, Scientific Committee of CIMPA, 2010-sekarang. Anggota, Society for Industrial and Applied Mathematics (SIAM), 2011-sekarang. Presiden, Himpunan Matematika Kombinatorika Indonesia (the Indonesian Combinatorial Mathematics Society – InaCombS), Periode 2006-2013. 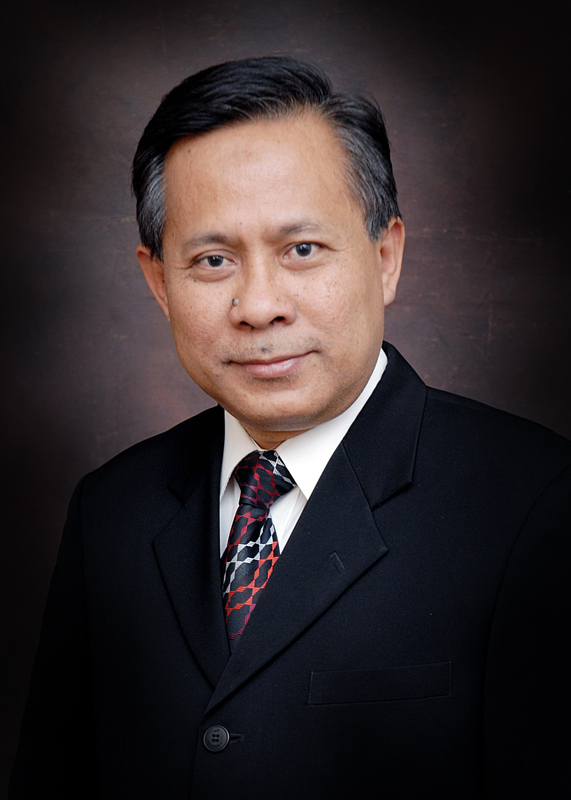 Presiden, Himpunan Matematika Indonesia (the Indonesian Mathematical Society – IndoMS), Periode 2006-2008. Wakil Presiden, Himpunan Matematika Indonesia (the Indonesian Mathematical Society), 2002-2006. Sekretaris Eksekutif, MIPANET – Jaringan Lembaga MIPA se Indonesia, 2002-2004. Anggota, Badan Standar Nasional Pendidikan, Indonesia, 2005-sekarang. Anggota, the Institute of Combinatorics and its Applications, 1996 – Sekarang. I W. Sudarsana, H. Assiyatun, S. Uttunggadewa, E.T. Baskoro, On the Ramsey numbers R(S2,m, K2,q) and R(sK2, Ks+Cn), Ars Combin. 119 (2015), 235-246. T.K. Maryati, E.T. Baskoro, Irawati, On the path- (super) magicness of cycles with some pendants, Utilitas Math. 96 (2015), 319-330. Edy Tri Baskoro, Kristiana Wijaya, On Ramsey (2K2,K4)-Minimal Graphs, Mathematics in the 21st Century, Springer Proceedings in Mathematics & Statistics 98 (2015), 11-17. Des Welyyanti, E.T. Baskoro, R. Simanjuntak, S. Uttuggadewa, The locating-chromatic number of disconnected graphs, Far East J. Math. Sci. 94:2 (2014), 169–182. M. Imran, A.Q. Baig, S.A. Bokhary, E.T. Baskoro, New classes of convex polytopes with constant metric dimension, Utilitas Mathematica 95 (2014), 97-111. A.Q. Baig, Edy Tri Baskoro and Andrea Semanicova-Fenovcikova, On the super edge-magic deficiency of a star forest, Ars Combinatoria 115 (2014), 3-12. M.K. Siddiqui, Nurdim E.T. Baskoro, Total edge irregularity strength of the disjoint union of Helm graphs, J. Math. Fundam. Sci. 45A (2013), No. 2, 163–171. E.T. Baskoro, and Asmiati, Characterizing all trees with locating-chromatic number 3, Electronic Journal of Graph Theory and Applications I(2) (2013), 109–117. D.K. Syofyan, E.T. Baskoro, H. Assiyatun, On the locating-chromatics number of homogeneous lobster, AKCE Int. J. Graphs Combin. 10:3 (2013), 245-252. D. Welyyanti, E.T. Baskoro, R. Simanjuntak, S. Uttunggadewa, On locating-chromatic number of complete n-ary tree, AKCE Int. J. Graphs Combin. 10:3 (2013), 309-315. M. Miller, Slamin, J. Ryan, E.T. Baskoro, Construction techniques for digraphs with minimum diameter, LNCS (including subseries Lecture Notes in Artificial Intelligence and Lecture Notes in Bioinformatics) 8288 (2013), 327-336. Amrullah, H. Assiyatun, E.T. Baskoro, S. Uttunggadewa, R. Simanjuntak, The partition dimension for a subdivision of homogeneous caterpillars, AKCE Int. J. Graphs Combin. 10:3 (2013), 317-325. I.A. Purwasih, E.T. Baskoro, H. Assiyatun, W. Djohan, The locating-chromatic number for a subdivision of a wheel on one cycle edge, AKCE Int. J. Graphs Combin. 10:3 (2013), 327-336. M. Roswitha, E.T. Baskoro, T.K. Maryati, N.A. Kurdhi, I. Susanti, Further results on cycle-supermagic labeling, AKCE Int. J. Graphs Combin. 10:2 (2013), 211-220. S.W. Saputro, R. Simanjuntak, S. Uttunggadewa, H. Assiyatun, E.T. Baskoro, A.N.M. Salman, M. Baca, The metric dimension of the lexicographic product of graphs, Discrete Mathematics, 313:9 (2013), 1045-1051. E.T. Baskoro, I.A. Purwasih, The locating chromatic number for corona product of graphs, Southeast Asian Journal of Sciences, 1:1 (2012), 126-136. A. Ahmad, E.T. Baskoro, M. Imran, Total vertex irregularity strength of disjoint union of helm graphs, Discussiones Mathematicae – Graph Theory 32:3 (2012), 427-434. Edy Tri Baskoro, Darmaji, The partition dimension of corona product of two graphs, Far East Journal of Mathematical Sciences, 66:2 (2012), 181-196. Darmaji, Edy Tri Baskoro, Further results on partition dimension of corona products, AIP Conf. Proc. 1450 (2012), 77-81. Adiwijaya, A.N.M. Salman, Djoko Suprijanto, Edy Tri Baskoro, A characterization of the corona product of a cycle with some graphs based on its f-chromatic index, AIP Conf. Proc. 1450 (2012), 155-158. Dedy Tatanto, Edy Tri Baskoro, On Ramsey (2K2, 2Pn)-Minimal Graphs, AIP Conf. Proc. 1450 (2012), 90-95. Hadi Muhshi, Edy Tri Baskoro, On Ramsey (3K2, P3)-minimal graphs, AIP Conf. Proc. 1450 (2012), 110-117. Mania Roswitha, Edy Tri Baskoro, H-magic coverings on some classes of graphs, AIP Conf. Proc. 1450 (2012), 135-138. Syafrizal Sy, Edy Tri Baskoro, A lower bound of the size multipartite Ramsey number mj(Pn, Kjxb), AIP Conf. Proc. 1450 (2012), 259-261. Ira Apni Purwasih, Edy Tri Baskoro, The Locating Chromatic Number of Certain Halin Graphs, AIP Conf. Proc. 1450 (2012), 342-345. Asmiati, Edy Tri Baskoro, Characterizing all graphs containing cycles with locating-chromatic number 3, AIP Conf. Proc. 1450 (2012), 351-357. M. Hussain, E.T. Baskoro, K. Ali, On super antimagic total labeling of Harary graph, Ars Combinatoria 104 (2012), 225-233. Asmiati, E.T. Baskoro, H. Assiyatun, D. Suprijanto, R. Simanjuntak, S. Uttunggadewa, The locating-chromatics number of firecracker graphs, Far East Journal of Mathematical Sciences 63:1 (2012), 11-23. E.T. Baskoro, L. Yulianti, Ramsey minimal graphs for 2K2 versus Pn, Advances and Application in Discrete Mathematics 8:2 (2011), 83-90. H. Iswadi, E.T. Baskoro, R. Simanjuntak, On the metric dimension of corona product of graphs, Far East Journal of Mathematical Sciences (FJMS), 52:2 (2011), 155-170. A.A.G. Ngurah, E.T. Baskoro, I. Tomescu, Magic graphs with pendant edges, Ars Combinatoria, 99 (2011), 149-160. T. Vetrik, R. Simanjuntak, E.T. Baskoro, Large bipartite Cayley graphs of given degree and diameter, Discrete Mathematics, 311 (2011), 324-326. M. Baca, E.T. Baskoro, A.N.M. Salman, S.W. Saputro, D. Suprijanto, The metric dimension of regular bipartite graphs, Bull. Math. Soc. Sci. Roumanie, Tome 54 (102) No. 1, (2011), 15-28. Asmiati, H. Assiyatun, E.T. Baskoro, Locating-chromatic number of amalgamation of stars, ITB Journal of Sciences, 43A:1 (2011), 1-8. A.Q. Baig, Ali Ahmad, E.T. Baskoro, R. Simanjuntak, On the super edge-magic deficiency of forests, Utilitas Mathematica, 86 (2011), 147-159. Adiwijaya, A.N.M. Salman, D. Suprijanto, E.T. Baskoro, A classification of some graphs containing wheels based on f-colorings, Contribution in Mathematics and Applications III: East-West J. of Mathematics, a special volume (2010), 200-207. Ali Ahmad, Kashif Ali, Edy Tri Baskoro, On super edge-magic total labeling of a forest of banana trees, Utilitas Mathematica 83 (2010), 323-332. H. Iswadi, E.T. Baskoro, A.N.M. Salman, R. Simanjuntak, The resolving graph of amalgamation of cycles, Utilitas Mathematica, 83 (2010), 121-132. N. Hussain, E.T. Baskoro, Kashif Ali, M.T. Rahim, On (a,d)-vertex-antimagic total labeling of Harary graph, Utilitas Math. 83 (2010), 73-80. Nurdin, E.T. Baskoro, A.N.M. Salman, N.N. Gaos, On total vertex-irregular labellings for several types of trees, Utilitas Math. 83 (2010), 277-290. H. Iswadi, E.T. Baskoro, A.N.M. Salman, R. Simanjuntak, The metric dimension of amalgamation of cycles, Far East Mathematical Science Journal, 41:1 (2010) 19-31. T.K. Maryati, A.N.M. Salman, E.T. Baskoro, J. Ryan, M. Miller, On H-supermagic labelings for certain shackles and amalgamations of a connected graph, Utilitas Math. 83 (2010), 333-342. Nurdin, E.T. Baskoro, A.N.M. Salman, N.N. Gaos, On total vertex-irregularity strength of trees, Discrete Math. 310 (2010) 3043-3048. L. Yulianti, H. Assiyatun, S. Uttunggadewa, E.T. Baskoro, On Ramsey (K1,2, P4)-minimal Graphs, Far East Journal of Mathematical Sciences (FJMS), 40(1) 2010: 23-36. K. Ali, A.Q. Baig, E.T. Baskoro, On the Ramsey number for a linear forest versus a cocktail party graph, J. Combin. Math. Combin. Comput. 71 (2009), 173-177. I Wayan Sudarsana, E.T. Baskoro, H. Assiyatun, S. Uttunggadewa, The Ramsey number of a certain forest respect to a small wheel, J. Combin. Math. Combin. Comput. 71 (2009), 257 – 264. S.W. Saputro, E.T. Baskoro, A.N.M. Salman, D. Suprijanto, The metric dimensions of a complete n-partite graph and its cartesian product with a path, J. Combin. Math. Combin. Comput. 71 (2009), 283 – 293. Kashif Ali, E.T. Baskoro, I. Tomescu, On the Ramsey numbers for paths and generalized Jahangir graphs JS,m, Bull. Math. Soc. Sci. Math. Roumanie 51(99) No. 3 (2008), 117 – 182. Hasmawati, E.T. Baskoro, H. Assiyatun, The Ramsey numbers for disjoint unions of graphs, Discrete Math. 308: 10 (2008) 2046 – 2049. E.T. Baskoro, Y.M. Cholily, M. Miller, Enumeration of vertex orders of almost Moore digraphs with selfrepeats, Discrete Math. 308 (2008) 123 – 128. A.A.G. Ngurah, E.T. Baskoro, R. Simanjuntak, On the super edge-magic deficiencies of graphs, Australas. J. Combin. 40 (2008), 3 – 14. Surahmat, E.T. Baskoro, I. Tomescu, The Ramsey numbers of large cycles versus odd wheels, Graphs Combin. 24 (2008), 53 – 58. A.A.G. Ngurah, R. Simanjuntak, E.T. Baskoro, On (super) edge-magic total labeling of subdivision of K1,3, SUT J. Math., 43: 2 (2008), 127 – 136. E.T. Baskoro, L. Yulianti, H. Assiyatun, Ramsey (K1,2, C4)-minimal graphs, J. Combin. Math. Combin. Comput. 65 (2008), 79 – 90. Kashif Ali, E.T. Baskoro, On the Ramsey numbers for a combination of paths and Jahangirs, J. Combin. Math. Combin. Comput. 65 (2008), 113 – 120. C. Imron, B. Setiyono, R. Simanjuntak, E.T. Baskoro, Critical set of caterpillar graph for secret sharing scheme, J. Combin. Math. Combin. Comput. 65 (2008), 121 – 126. H. Iswadi, E.T. Baskoro, R. Simanjuntak, A.N.M. Salman, The metric dimension of graph with pendant edges, J. Combin. Math. Combin. Comput. 65 (2008), 139 – 146. Surahmat, E.T. Baskoro, H.J. Broersma, The Ramsey number of large star-like trees versus odd wheels, J. Combin. Math. Combin. Comput. 65 (2008), 153 – 162. T. K. Maryati, E.T. Baskoro, A.N.M. Salman, Ph-supermagic labelings of some trees, J. Combin. Math. Combin. Comput. 65 (2008), 197 – 204. Nurdin, A.N.M. Salman, E.T. Baskoro, the total edge-irregular strengths of the corona product of paths with some graphs, J. Combin. Math. Combin. Comput. 65 (2008), 163 – 176. Syafrizal Sy, E.T. Baskoro, S. Uttunggadewa, The size multipartite Ramsey numbers for small paths versus other graphs, Far East J. Appl. Math. 28: 1 (2007), 131 – 138. A.A.G. Ngurah, E.T. Baskoro, R. Simanjuntak, On the new families of (super) edge-magic graphs, Utilitas Math. 74 (2007), 111 – 120. E.T. Baskoro, Y.M. Cholily, M. Miller, Structure of repeat cycles in almost Moore digraphs with selfrepeats and diameter 3, Bull. Inst. Combin. Appl. 46 (2006), 99 – 109. A.A.G. Ngurah, E.T. Baskoro, R. Simanjuntak, On the (a,d)-antimagic total labelling of mCn, Bull. Inst. Combin. Appl. 48 (2006) 35 – 44. A.A.G. Ngurah, E.T. Baskoro, R. Simanjuntak, S. Uttunggadewa, On edge-magic total labeling of kC4-snakes, Congressus Numerantium, 179 (2006), 97 – 107. E.T. Baskoro, Hasmawati, H. Assiyatun, The Ramsey numbers for disjoint unions of trees, Discrete Math. 306 (2006) 3297 – 3301. Surahmat, E.T. Baskoro, I. Tomescu, The Ramsey numbers of large cycles versus wheels, Discrete Math. 306 (2006) 3334 – 3337. E.T. Baskoro, Subanji, Methods of constructing a knight’s tour on rectangular and diamond boards, Math Track 2 (2006) 47 – 55. E.T. Baskoro, Y. Nuraeni, A.A.G. Ngurah, Upper bounds for the size Ramsey numbers for P3 versus C3t or Pn, Journal of Prime Research in Mathematics 2 (2006) 141 – 146. M. Baca, E.T. Baskoro, R. Simanjuntak, K.A. Sugeng, Super edge-antimagic labelings of the generalized Petersen graph P(n,(n-1)/2), Utilitas Math. 70 (2006), 119 – 127. Y.M. Cholily , E.T. Baskoro, S. Uttunggadewa, Some conditions of the existence of (d,k)-digraphs, LNCS 3330 (2005) 87 – 93. Surahmat, E.T. Baskoro, S. Uttunggadewa , H. Broersma, An upper bound for the Ramsey number of cycle of length four versus wheels, LNCS 3330 (2005) 181 – 184. M. Baca, E.T. Baskoro, M. Miller, Antimagic valuations for the special class of plane graphs, LNCS 3330 (2005) 55 – 61. E.T. Baskoro, M. Miller, J. Siran, M. Sutton, Complete characterisation of almost Moore digraphs of degree three, Journal of Graph Theory, 48 : 2 (2005), 112 – 126. Surahmat, E.T. Baskoro, H.J. Broersma, The Ramsey numbers of fans versus K4, Bull. Inst. Combin. Appl. 43 (2005) 96 – 102. E.T. Baskoro, Surahmat, The Ramsey number of paths with respect to wheels, Discrete Math. 294 (2005) 275 – 277. I W. Sudarsana, D. Ismaimuza, E.T. Baskoro, H. Assiyatun, On super (a,d) -edge antimagic total labeling of disconnected graphs, J. Combin. Math. Combin. Comput. 55 (2005), 149 – 158. Hasmawati, E.T. Baskoro, H. Assiyatun, Star-wheel Ramsey numbers, J. Combin. Math. Combin. Comput. 55 (2005), 123 -128. Syafrizal Sy., E.T. Baskoro, S. Uttunggadewa, The size multipartite Ramsey numbers for paths, J. Combin. Math. Combin. Comput. 55 (2005), 103 – 107. I W. Sudarsana, E.T. Baskoro, D. Ismaimuza, H. Assiyatun, Creating new super edge-magic total labelings from old ones, J. Combin. Math. Combin. Comput. 55 (2005), 83 – 90. A.A.G. Ngurah, E.T. Baskoro, R. Simanjuntak, On antimagic total labelings of generalized Petersen graph, J. Combin. Math. Combin. Comput. 55 (2005), 57 – 70. E.T. Baskoro, Critical sets in edge-magic total labelings, J. Combin. Math. Combin. Comput. 55 (2005), 33 – 42. M. Baca, E.T. Baskoro, Yus M. Cholily, Face antimagic labelings for a special class of plane graphs Csb asp b, J. Combin. Math. Combin. Comput. 55 (2005), 5 – 15. Surahmat, E.T. Baskoro, H.J. Broersma , The Ramsey numbers of large cycles versus small wheels, INTEGERS: Electronic Journal of Combinatorial Number Theory 4 (2004) A#10, 1 -9. M. Baca, E.T. Baskoro, S. Jendrol, M. Miller, Antimagic labelings of hexagonal planar maps, Utilitas Math. 66 (2004), 231 – 238. A.N.M. Salman, E.T. Baskoro, H.J. Broersma, C.A. Rodger, More on spanning 2-connected subgraph in truncated rectangular grid graphs, Bull. Inst. Combin. Appl. 39 (2003) 31 – 38. A.N.M. Salman, H.J. Broersma, E.T. Baskoro, Spanning 2-connected subgraphs of alphabet graphs, special classes of grid graphs, Journal of Automata, Languanges and Combinatorics 8 (2003) 4, 675 – 681. E.T. Baskoro, Surahmat, S.M. Nababan, M. Miller, On Ramsey numbers for trees versus wheels of five or six vertices, Graphs Comb. 18 (2002) 4, 717 – 721. E.T. Baskoro, M. Miller, J. Plesnik, Further results on almost Moore digraphs, Ars Combinatoria 56 (2000) 43 – 63. H. Iswadi, E.T. Baskoro, On (4, 2)-digraphs with containing a cycle of length 2, Bull. Malaysian Math. Sci. Soc. (2) 23 (2000) 1, 79 – 91. W.D. Wallis, E.T. Baskoro, M. Miller, Slamin, Edge-magic total labelings, Australas. J. Combin. 22 (2000) 177 – 190. E.T. Baskoro, M. Miller, J. Plesnik, On the structure of digraphs with order close to the Moore bound, Graphs Comb. 14 (1998) 2, 109 – 119. E.T. Baskoro, L. Brankovic, M. Miller, J. Plesnik, J. Ryan, J. Siran, Large digraphs with small diameter: A voltage assignment approach, J. Combin. Math. Combin. Comput. 24 (1997) 161 – 176. E.T. Baskoro, M. Miller, J. Siran, A note on almost Moore digraphs of degree three, Acta Mathematica Universitat Comenianae 66 (1997) 2, 285 – 291. E.T. Baskoro, M. Miller, A procedure for constructing a minimum-diameter digraph, Bull. Inst. Combin. Appl. 17 (1996) 8 – 14. E.T. Baskoro, M. Miller, J. Plesnik and S. Znam, Digraphs of degree 3 and order close to the Moore bound, J. Graph Theory 20 (1995) 339 – 349. E.T. Baskoro, M. Miller, J. Plesnik and S. Znam, Regular digraphs of diameter 2 and maximum order, Australas. J. Combin. 9 (1994) 291 – 306. Errata, 13 (1995). M. Baca, E.T. Baskoro, M. Miller, J. Ryan, R. Simanjuntak, K.A. Sugeng, Survey of edge antimagic labelings of graphs, J. Indones. Math. Soc. 12:1 (2006), 113 – 130. Nurdin, E.T. Baskoro, A.N.M. Salman, Total edge irregular strength on the union of K2,n, Jurnal Matematika dan Sains 11: 3 (2006) 105 – 109. E.T. Baskoro, I.W. Sudarsana, Y.M. Cholily, How to construct new super edge-magic graphs from some old ones, J. Indones. Math. Soc. (MIHMI) 11: 2 (2005), 155 – 162. M. Baca, E.T. Baskoro, Y.M. Cholily, S. Jendrol, Y. Lin, M. Miller, J. Ryan, R. Simanjuntak, Slamin, K.A. Sugeng, Conjectures and open problems on face antimagic evaluations of graphs, J. Indones. Math. Soc. (MIHMI) 11: 2 (2005), 175 – 192. E.T. Baskoro, Y.M. Cholily, Expanding super edge magic graphs, Proc. ITB Sains & Tek. 36:2(2004), 117 – 125. E.T. Baskoro, On Ramsey-Type Problems, Jurnal Matematika atau Pembelajarannya, 9:1 (2003), 1 – 11. A.N.M. Salman, E.T. Baskoro, H.J. Broersma, A note concerning Hamilton cycles in some classes of grid graphs, Proceedings ITB Sains & Teknologi 35A:1 (2003) 65 – 70. E.T. Baskoro, The Ramsey number of paths and small wheels, Journal of the Indonesian Mathematical Society (MIHMI) 8(2002) 1, 13 – 16. E.T. Baskoro, Amrullah, Almost Moore digraphs of degree 4 without selfrepeats, Journal of the Indonesian Mathematical Society (MIHMI), 8 (2002) 1, 51 – 60. R. Simanjuntak, E.T. Baskoro, The uniqueness of almost Moore digraphs with degree 4 and diameter 2, Proceeding ITB 32 (2000) 1, 7 – 11. E.T. Baskoro, On the existence of cubic digraphs with optimum order, The Indonesian Mathematical Society Magazine, MIHMI 2 (1997) 27 – 34. Sebagai pembicara plenary, Ramsey Numbers for graphs, The 5th Annual Basic Science International Conference 2015, Malang, Indonesia, February 11-12, 2015. Sebagai pembicara keynote, The 7th International Conference on Science and mathematics Education in Developing Countries, 7-9 November 2014, Mandalay, Myanmar, Judul: “On Graph Ramsey Numbers’. Sebagai pembicara undangan, Edy Tri Baskoro, Conjecture on the total vertex irregularity strength of graphs, Bandung Workshop on Combinatorics and Optimization (BWCOP) 2014, ITB Bandung Indonesia, 1-2 November 2014. Sebagai pembicara undangan, IWONT2014, 30 Juni – 4 Juli 2014, Bratislava, Slovakia, Judul: “On Ramsey numbers for wheels and union of graphs”. Sebagai pembicara undangan, SEAMS-YUNNAN Workshop in Mathematics and Information Science, 18-22 Juni 2014, Kunming P.R. China, Judul: “The Ramsey number of a union of graphs”. Sebagai pembicara keynote, The 9th GraphMasters Workshop, 7-8 Juni 2014, Universitas Islam Malang (UNISMA), Indonesia, Judul: “Size Ramsey Numbers and Ramsey Minimal Graphs”. Sebagai pembicara undangan, International Joint Research Week on Non-Commutative Stochastic Systems: Analysis, Modelling and Applications, GSIS Tohoku University, Sendai, Jepang, February 3-7, 2014, Judul: “On Graph Ramsey Ramsey”. Sebagai pembicara undangan, ICMREA-UEL 2013, Ho Chi Minh City, Vietnam, December 21-23, 2013, Judul: “Trees with locating-chromatic number 3”. Sebagai pembicara plenary, The 6th World Conference on 21st Century Mathematics 2013, Abdus Salam School of Mathematical Sciences, GC University Lahore Pakistan, March 6-9, 2013, Judul: “Some progress on Ramsey (G,H)-minimal graphs”. Sebagai pembicara undangan, ICMA-MU 2013, Bangkok Thailand, 19-21 January 2013, Judul: “Trees with small locating-chromatic number or partition dimension”. Sebagai pembicara undangan, Seminar di GSIS Tohoku University Jepang, 15 Mei 2012, Judul: “On the existence of (d,k)-digraphs. Sebagai pembicara keynote, Workshop on Graph Theory, 22-24 December 2011, ASSMS GC University, Lahore Pakistan, judul: “Ramsey Minimal Graphs”. Sebagai pembicara undangan, International Conference in Mathematics and Applications (ICMA-MU 2011), 17-19 December 2011, Bangkok Thailand, judul: “The locating-chromatic number for the corona product of graphs. Sebagai pembicara undangan dalam International Workshop on Optimal Networks Topologies IWONT2012, Brussels Belgia, 11-15 Juli 2011, Judul makalah: ”Necessary conditions for (d,k)-digraphs”. Sebagai pembicara dalam International Congress of Mathematicians, 19-27 Agustus 2010, Hyderabad India, judul makalah: ”On Ramsey (2K2,Pn)-minimal graphs”. Sebagai Indonesian representative dalam General Assembly, International Mathematical Union (IMU), Agustus 16-17, 2010, Bangalore India. Sebagai pembicara plenary dalam International Workshop on Optimal Networks Topologies IWONT2010, Barcelona Spanyol, 9-12 Juni 2010, Judul makalah: ”The existence of almost Moore digraphs with higher degree and diameter”. Sebagai pembicara undangan dalam the 33rd Australasian Conference on Combinatorial Mathematics and Combinatorial Computing (33ACCMCC), December 7-11, 2009, Newcastle, Australia, Judul makalah: ”On The Existence of Almost Moore Digraphs”. Sebagai pembicara undangan dalam the 4th International Conference on Research and Education in Mathematics (ICREM 4), Kuala Lumpur, Malaysia, October 21 – 23, 2009, Judul makalah: ”On the Existence of Almost Moore (Di)graphs”. Sebagai pembicara undangan dalam IndoMS International Conference on Mathematics and its application (IICMA2009), UGM Yogyakarta, October 12 – 13, 2009, Judul makalah: ”On (Super) Edge-Magic Deficiency of Graphs”. Sebagai pembicara undangan dalam Asian Mathematical Conference, June 22-26, 2009 Kuala Lumpur Malaysia, Judul makalah: ”Some progress on Ramsey numbers and Ramsey-minimal graphs”. Sebagai pembicara undangan (invited speaker) dalam the 4th International Conference on 21st Century Mathematics 2009, Lahore Pakistan, March 4-8, 2009, Judul makalah: ”On some Ramsey-minimal graphs”. Sebagai pembicara undangan (invited speaker) dalam the 3rd International Conference on Mathematics and Statistics (ICoMS-3), IPB Bogor, Indonesia, 5-6 August 2008, Judul makalah: Some graph Ramsey numbers and Ramsey-minimal graphs”. Sebagai pembicara undangan (invited speaker) dalam International Joint Symposium on Computational Science, Kanazawa University, Japan, 3-7 March, 2008, Judul makalah: ”Ramsey Numbers, Edge-Magic Total Labelings and Secret Sharing Schemes”. Sebagai pembicara undangan (invited speaker) dalam International Conference on Mathematics and Applications ICMA-MU 2007, Bangkok Thailand, 15-17 August 2007, Judul makalah: ”Ramsey numbers of complete bipartite graphs”. Sebagai pembicara kunci (plenary speaker) di the 3rd International Conference on 21st Century Mathematics 2007, Lahore Pakistan, March 4-7, 2007, Judul makalah: ”On the existence of almost Moore digraphs”. Sebagai pembicara undangan (invited speaker) dalam Workshop/Conference on Algebra and Graph Theory, Lahore Pakistan, March 13-22, 2006, Judul makalah: ”Total labeling of graphs”. Sebagai pembicara undangan (invited speaker) dalam Asian Mathematical Conference 2005 diselenggarakan oleh the South East Asian Mathematics Society (SEAMS), di NUS, Singapura, 20-23 Juli 2005, Judul makalah: ”On the structure of almost Moore digraphs containing selfrepeats”. Sebagai pembicara undangan (invited speaker) dalam Workshop on Cycles and Colorings, High Tatras, Slovakia, September 5 – 10, 2004. Judul: “On the Ramsey numbers of some fixed graphs versus wheels”. Sebagai pembicara undangan (invited speaker) dalam the 13th Australasian Workshop on Combinatorial Algorithms (AWOCA), Australia, July 7-10, 2002, judul: “On the Ramsey Number of wheels versus other graphs. Sebagai pembicara undangan (invited speaker) dalam the 11th National Conference on Mathematics, Malang Indonesia, July 21 – 24, 2002. Judul: “On Ramsey-type problems”.